The average cost of memory care in Webster is $5,000 per month. This is higher than the national median of $4,650. Caring.com has helped thousands of families find high-quality senior care. To speak with one of our Family Advisors about memory care options and costs in Webster, call (855) 863-8283. An estimated 400,000 people residing throughout New York State are currently living with Alzheimer's disease. This figure is expected to sharply increase by around 15 percent to 460,000 by 2025. In Webster, New York, two memory care facilities are available to serve the needs of local residents with Alzheimer's and other forms of dementia. 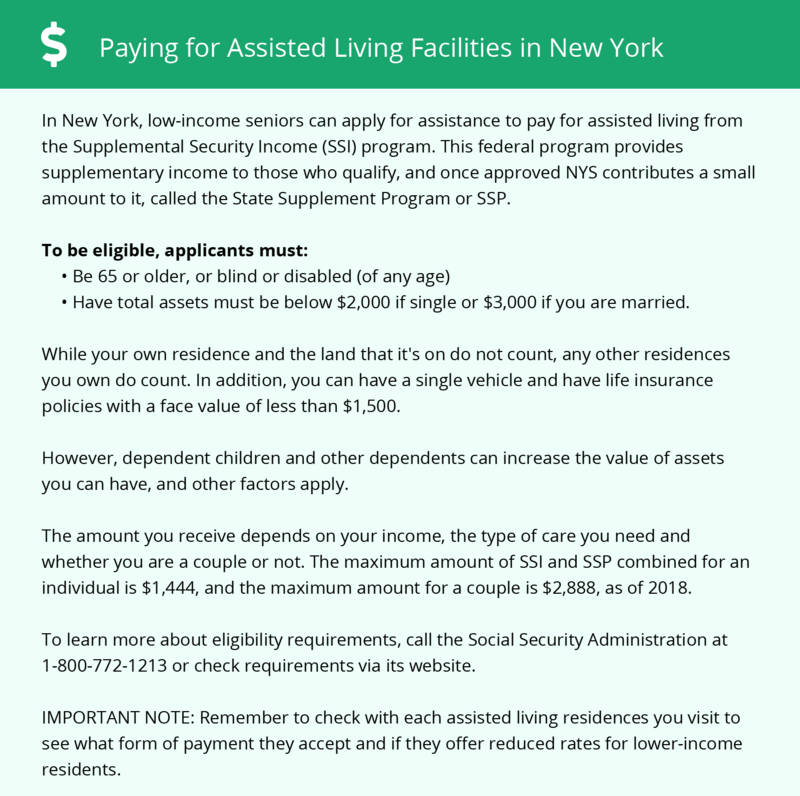 Facilities in the state of New York that provide assistance with memory care and other cognitive disabilities are known as Special Needs Assisted Living Residences. They are regulated by the New York State Department of Health and provide safe and secure accommodation options for seniors with mental impairments. The cost of living in Webster, New York, is on par with the national average. However, with a cost of living that's considerably cheaper than the rest of New York State, Webster may provide one of the most reasonable places to live. The air in Monroe County is relatively clean and has received a rating of "B" from the American Lung Foundation. It also scored well in the 24-hour particle pollution category with an "A" ranking. These scores mean that it's unlikely prolonged periods of time spent outdoors would aggravate seniors with respiratory conditions. Violent crime in Webster is reported at a marginally higher rate than the national average, whereas the rate of property crime is slightly lower. These statistics combine to make Webster one of the safest areas of the Empire State. It's still a good idea to ask about the levels of security offered by the facility. Webster, New York, has few facilities from which to choose in the event of a medical emergency or illness, with the nearest major hospital specializing in brain health and dementia care located in Rochester. Memory Care costs in Webster start around $5,000 per month on average, while the nationwide average cost of memory care is $4,800 per month. It’s important to note that memory care rates in Webster and the surrounding suburbs can vary widely based on factors such as location, the level of care needed, apartment size and the types of amenities offered at each community. Webster and the surrounding area are home to numerous government agencies and non-profit organizations offering help for seniors searching for or currently residing in an assisted living community. These organizations can also provide assistance in a number of other eldercare services such as geriatric care management, elder law advice, estate planning, finding home care and health and wellness programs. To see a list of free memory care resources in Webster, please visit our Assisted Living in New York page. Webster-area assisted living communities must adhere to the comprehensive set of state laws and regulations that all assisted living communities in New York are required to follow. Visit our Memory Care in New York page for more information about these laws.